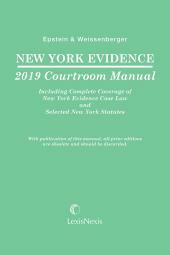 This book has been designed specifically for courtroom use; its purpose is to provide fast, authoritative answers to questions which arise in the course of trials and hearings. 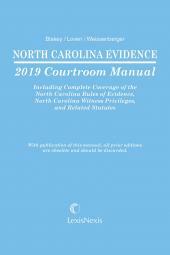 It accomplishes this through a unique combination of features, including: Rules: the complete North Carolina Rules of Evidence is located in a separate section in the front of the book. 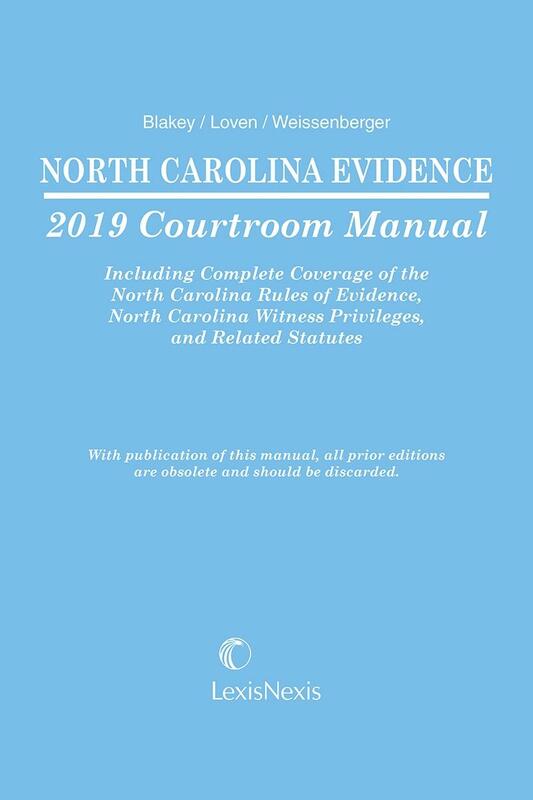 Commentary by drafters: The official commentary by the study committees and legislative committees that drafted the North Carolina Rules is located in an Appendix at the back of the manual. Analysis: Perhaps the most important part of this book, the author's analysis provides a quick overview of the Rule under discussion, authoritative guidance in interpreting the Rule, and pointers for applying the Rule in actual practice. In many chapters, the Analysis contains special features such as Illustrations, Constitutional Considerations, and Current Trends and New Developments. Authority: Additional authorities are cited after each chapter's Analysis. These citations give the user a starting point for additional research. Comparison to Federal Rule: The substance of each Rule is compared to the applicable Federal Rule of Evidence. 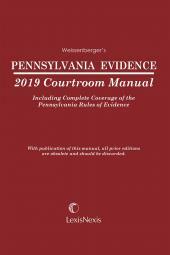 Cases: Recent significant cases are summarized at the end of each chapter. 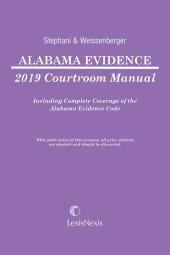 These cases provide support for argument and decisions required during the course of proceedings. WALKER JAMESON BLAKEY (1940–2011) joined the faculty of the University of North Carolina School of Law in 1971 and retired to Emeritus status in 2010. He served as a consultant to the Study Committees and the legislative committees that drafted the North Carolina Rules of Evidence and for many years was the director of the annual North Carolina Evidence Seminars. Professor Blakey held a bachelor's degree from Harvard University and a J.D. from Ohio State University. DEAN P. LOVEN serves as an Assistant Public Defender in 26th Judicial District, Charlotte, North Carolina. He has lectured widely on evidence, criminal procedure, and scientific evidence. He received his Ph.D. in radiation biology from the University of Iowa and taught at East Carolina University before entering law school at the University of North Carolina School of Law.